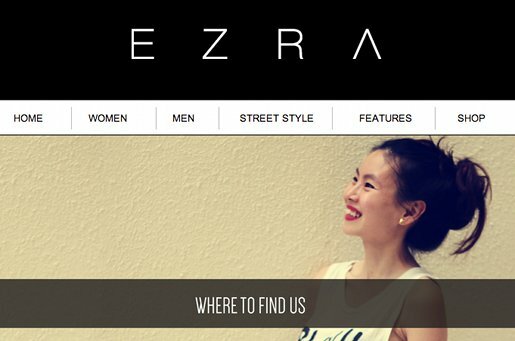 Zalora, Rocket Internet’s eCommerce platform in Southeast Asia, is now producing its own fashion brand, Ezra. The news follows a $100m funding round from Summit Partners, Investment AB Kinnevik, Verlinvest and Tengelmann Group. It’s not the first company from the company builder’s stable to launch an in-house brand: earlier this year, Zalando brought out independent brand Kiomi. Both companies are chasing the larger profit margins made possible by selling their own brands. Ezra will be available this month, starting with womenswear and expanding to include menswear, footwear and accessories. It will only be available on Zalora and will launch first in Singapore. So far, Zalora has expanded to eight countries in Southeast Asia: Singapore, Indonesia, Malaysia, the Philippines, Thailand, Vietnam, Hong Kong and Brunei. It claims to stock over 500 local and international brands and offers apparel, shoes, accessories and beauty products for men and women. In total, the company has received $126m in funding since launching in 2012. Confidential documents leaked from Rocket Internet earlier this year revealed that in 2012, Zalora achieved revenue worth a “double-digit million” dollar sum – though no mention of profit.